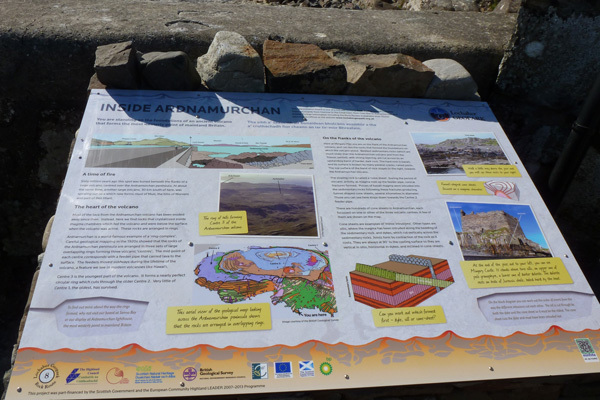 This board focuses on the Ardnamurchan volcano and the surrounding geology. 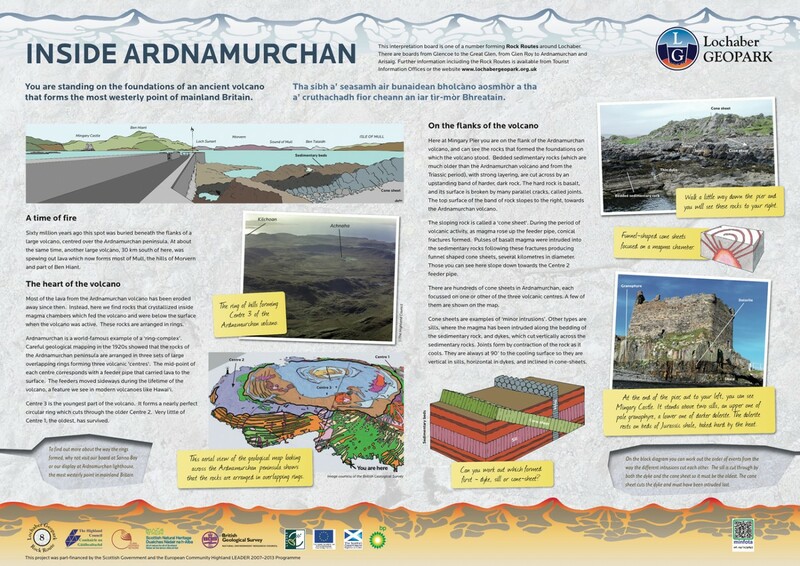 Ardnamurchan is renowned for its ‘ring complex’ and consists of three overlapping volcanic ‘centres’. Each of the centres has sequentially served as a magma feeder pipe in the distant past. A diagram shows the position of each centre, with the feeder pipes moving sideways with time, with Centre 1 ( little of which remains) being the oldest and Centre 3 the youngest. The board is sited at Mingary Pier which provides an ideal opportunity to examine the sedimentary rocks laid down in the Triassic Period, cut across with basaltic rock (an extrusive igneous rock). The board describes the origins of the different types of minor intrusions (cone sheets, sills and dykes based on their orientation)). Each of the volcanic centres is associated with multiple funnel cones sheets which arise from the magma chamber. The various intrusions are identified in block diagrams and on the ‘ground’ through photos. 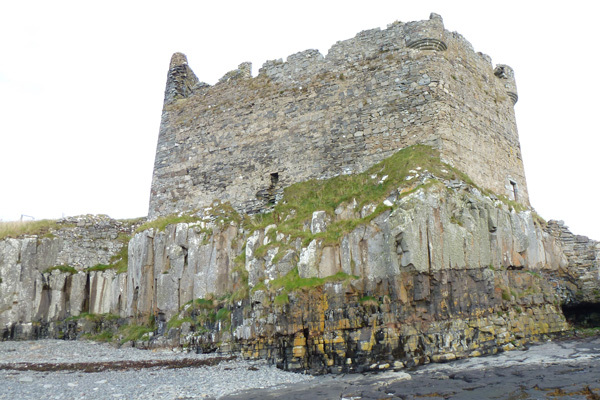 For example, Mingary Castle sits upon two sills, which overlay Jurassic shales. 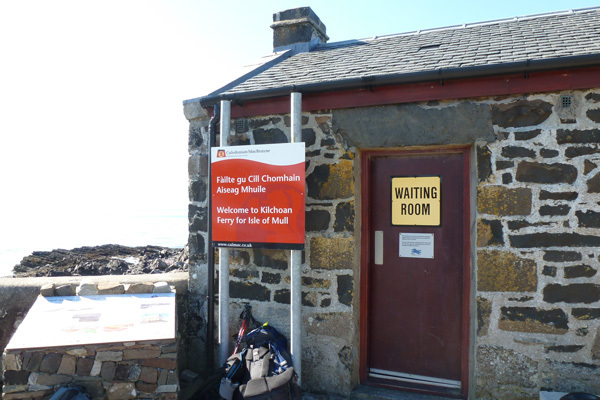 The board is located by Mingary pier, just off the B8007, east of Kilchoan. This board provides a fascinating introduction to the ring-dyke complex and its affect on the local geology.